One reason why people put off seeing their dentist is over fear of needle-based anesthesia. For some, the mere sight of the traditional metal syringe is enough to provoke mental and physical discomfort. For others, going through the rest of the day with a numbed face presents its own disadvantages. That’s why we’re excited to tell our patients about the Wand, a revolutionary approach to anesthesia that uses a single tooth anesthesia (STA) method to achieve superior results. Anesthesia has been used in dental settings since the 1800s. In the years since, dentists have continually refined their approach with new drugs and techniques. The vast majority of today’s dental procedures are carried out with little or no discomfort. Still, traditional dental anesthetics have their limitations. 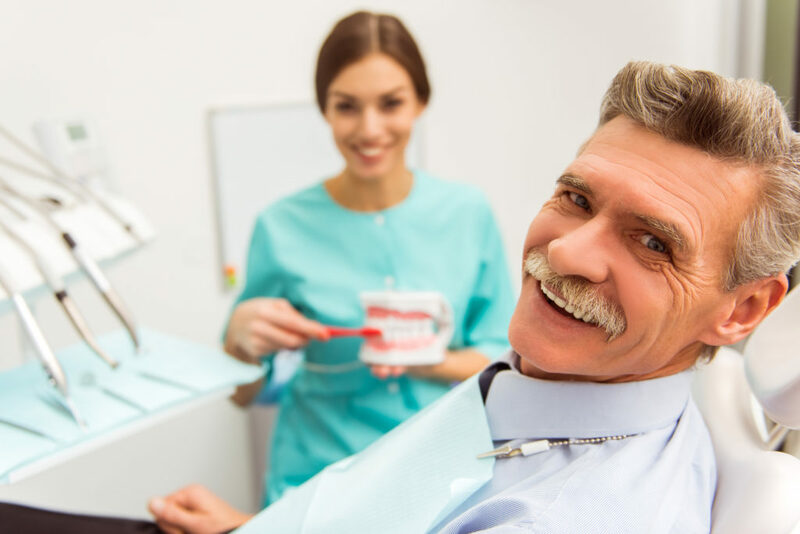 For example, they require direct injections into the patient’s jaw with a sizable needle, an experience that many people find unpleasant or even unsettling. In addition, needle-based therapy has, until recently, been a blanket approach to anesthesia, one which numbs portions of the jaw and face unrelated to the area requiring treatment. This can force the patient to go through the rest of the day unable to speak or even eat as normal. The Wand is controlled by a built-in micro-computer that releases anesthetic a single drop at a time. Because it pre-anesthetizes the affected area, the patient typically feels no pain whatsoever. Your dentist will allow a few seconds to ensure the anesthetic has begun to work before applying more as needed. Once the painkiller has taken effect, treatment can begin. Afterwards, the patient may notice a slight degree of numbness in a small area of the mouth; that’s all. When the appointment is over, patients are able to go about their daily schedule as usual. The Wand device itself is designed with patient comfort in mind. It’s made of low-profile materials that bear little resemblance to the large, elongated anesthetic needles of yesteryear. The result is a smoother, simpler, more comfortable experience for everyone involved. Digital X-rays: These use only a tiny fraction of the radiation once required and can be shared with healthcare professionals across the globe in mere seconds. Cavity detection using light-based approaches: This allows dentists to spot dental problems in their earliest stages, when treatment is less involved and optimal outcomes are easier to achieve. In this post we’ve only scratched the surface of our topic. Ask your dentist about all of the exciting new treatment options during your next appointment. You’ll soon have more reasons to smile than ever before. Dr. Dennis E. Stansbury has been at the forefront of dental care for over 40 years. A graduate of Baylor College of Dentistry in Dallas, he is a proud member of the American Dental Association (ADA) and the American College of Dentists. You can reach his office online or by calling (903) 561-1122.